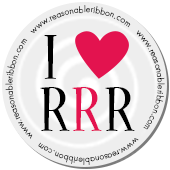 Really Reasonable Ribbon Blog: Snow Much Fun! Christmas Cards are Snow Much Fun! Hello, Friends! 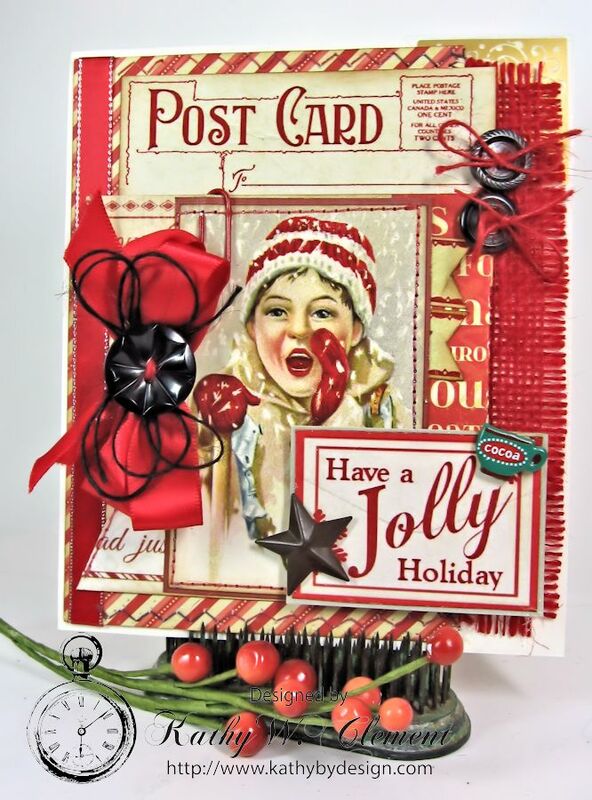 Today I'm sharing these delightfully vintage Christmas cards. These were "snow much fun" to make with the "Let it Snow" Creativity Kit from Polly's Paper Studio and fabulous ribbons from Really Reasonable Ribbon. 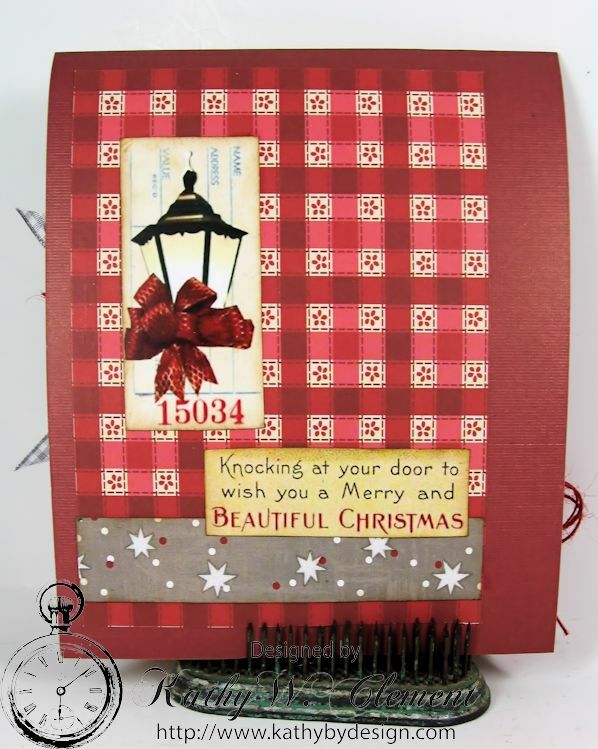 I added loads of texture with stitching, red burlap, ribbon and trims. A vertical border was created with Poppy Red Satin Ribbon with Silver Edging. The soft sheen of the ribbon and the touch of sparkle are perfect for this card. And taffeta ribbon is so festive for the holidays, don't you agree? My double loop bow is tied with Poppy Red Taffeta Ribbon and topped with a bit of black burlap string for contrast. The black vintage buttons are threaded with Red Burlap string that I tied into cute little bows. I think this little girl and boy are sweet on one another! To pick up on the grey background, I tied a bow with Grey Plaid Ribbon. A red burlap string bow is layered beneath my vintage button. Here's a peeky at the inside of this card. 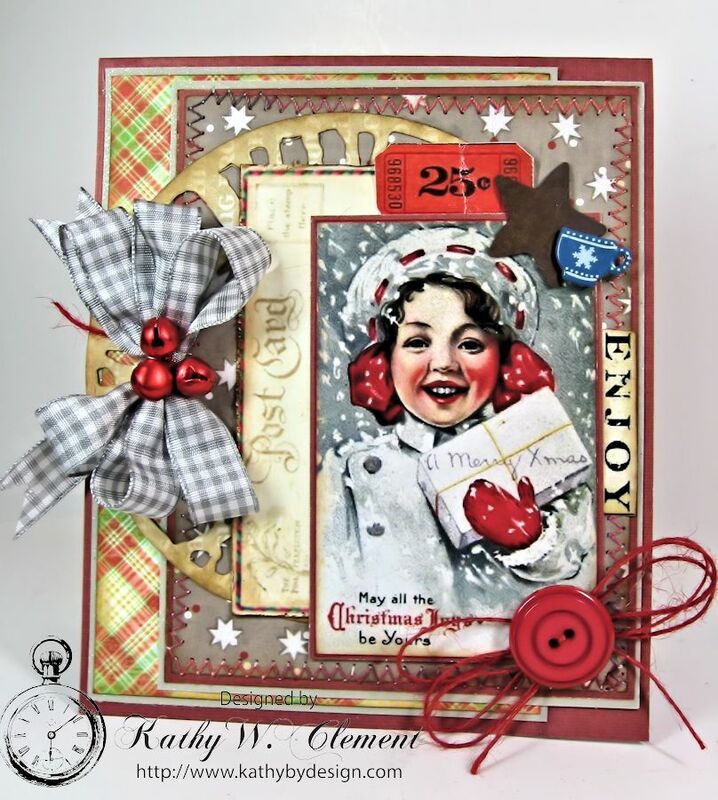 I love the way these pretty ribbons complete the vintage feel of these Snow Much Fun cards!